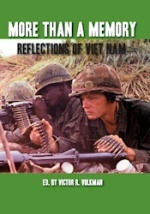 This entry was posted in ARC/ Review copy, Books, Reviews, Vietnam. Bookmark the permalink. ← Off to Mumbai for a Diwali break. I don’t really hate poetry, I just don’t understand a lot of it. I imagine these poems are pretty powerful. I don’t read poetry but I have to say some of them I read are just lovely and lyrical! I’m sure this book is a powerful read. I won’t pick up a poetry book on purpose but when I do read one, I loved it! I’m a big fan of books on this theme, so I’d be sure to look for it. Thanks for the review, Violet! The book sounds very moving. And I love seeing this campaign return for a second year! Is Tim O’Brien one of the writers? This is the first I’ve heard of this book. I’ve read a lot of Vietnam War poetry, so this sounds right up my alley. I hope it’s okay to link to your review on War Through the Generations. of course it’s more than okay Anna.